Curt Schilling said in a Twitter post Tuesday night that he was done with chemotherapy. 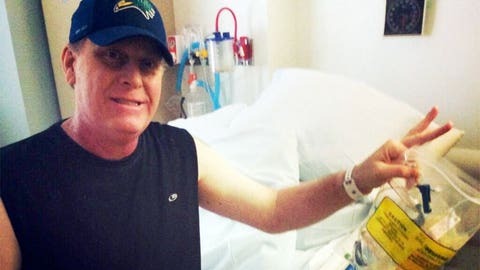 Curt Schilling says he has completed chemotherapy treatment and has radiation treatment ahead. Schilling released a statement Feb. 5 saying he had cancer, and daughter Gabby tweeted the following week that he had undergone surgery. He has not said what type of cancer he has or the prognosis. A six-time All-Star who was 216-146 from 1988-07, Schilling won World Series titles with Arizona in 2001 and with Boston in 2004 and `07. He was hired in December to be part of ESPN’s ”Sunday Night Baseball” broadcast crew, and ESPN said Schilling will join the telecasts as soon as his health allows.